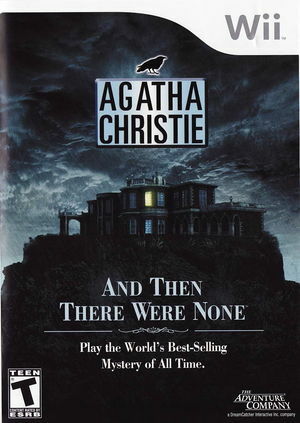 In the classic story Agatha Christie: And Then There Were None, 10 people, each with something to hide and something to fear, are invited to a lonely mansion on Shipwreck Island by a host who, surprisingly, fails to appear. On the island, they are cut off from everything but each other and the inescapable shadows of their own past lives. One by one, the guests share the darkest secrets of their wicked pasts. And one by one, they die... Agatha Christie fans, and newcomers to the genre, can look forward to a series of unexpected turns; although the storyline stays true to the original concept, players will encounter new plot twists. The first comes in the form of an 11th character, the player, a boatman who brings the others to the island and then is trapped there himself. To save the lives of the intended victims, the player must unravel the motives behind the murders and uncover the identity of the killer. If successful, he will spare not only the lives of the remaining guests, but also his own. The graph below charts the compatibility with Agatha Christie: And Then There Were None since Dolphin's 2.0 release, listing revisions only where a compatibility change occurred. This page was last edited on 30 May 2018, at 19:02.